Harvest Intervention Services L.L.C. provides developmental and educational services to children ages birth to eight years old, and their families. 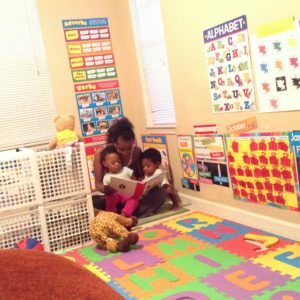 We specialize in early childhood education in order to encourage school readiness skill acquisition. Our expertise is in infant mental health and developmental therapy which addresses overall developmental challenges in children and social emotional concerns. Our services are offered in the home and community setting. The mission of Harvest Intervention Services L.L.C. is to empower parents, through awareness and training, to be the primary advocates for their child’s development and education. We believe that parents can be a child’s greatest teacher. With developmental therapy, infant mental health, and early childhood services we seek to establish foundations for children and families to develop and achieve together.